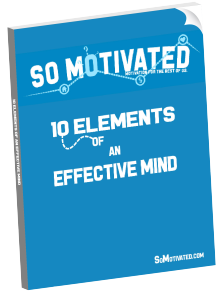 SoMotivated is dedicated to providing reliable information & strategies on motivation. There are folks who always seem to be obnoxiously upbeat, drinking green smoothies, & talking about running marathons. This site is not for them. This site is for those of us who hear the word “marathon” and think Netflix™. You’re here because you’ve realized you want more out of life. You want to accomplish something. You’re tired of knowing you could be doing so much more, but don’t have any idea how or where to start. Maybe you want to learn a new language, impress your sweetie with awesome dance moves, or even start with getting a sweetie! Whatever your motivation for stopping by, you’re here to get you started, and we’re happy to help you do it!